Wild Tomorrow Fund announces the discovery of a new spider species¨the Phinda Button Spider¨ in the critically endangered sand forest of South Africa. Wild Tomorrow Fund announces South African wildlife veterinarian, Dr. Dave Cooper as the 2018 recipient of the Umvikeli Wildlife Protector Award for his lifetime of dedication to the care, management and conservation of African rhinoceros and other wild animals in Africa. Five New York Officers Trained African Law Enforcement Officials in Forensic Crime Scene Investigation Techniques. 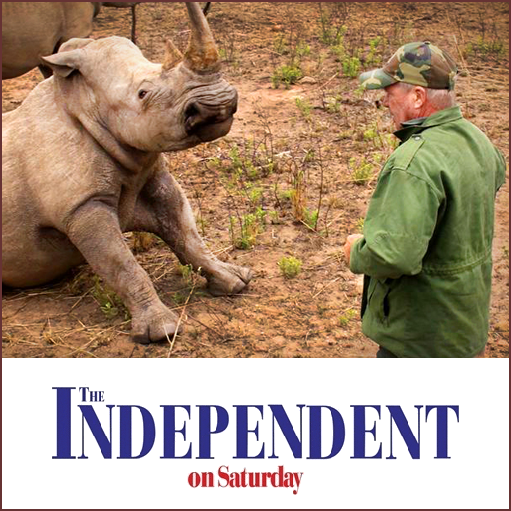 Dave Cooper tells the South African, Independent on Saturday how he felt when hearing he was the recipient of Wild Tomorrow Fund’s annual Umvikeli award. Read about how bitcoin can be used to protect elephants and rhinos, leveraging blockchain technology. Read about the launch of the spotted hyena project led by Wild Tomorrow Fund ecologist, Axel Hunnicutt. Read the story of how Wild Tomorrow Fund helped support the safe translocation of fifty three elephants from South Africa to Mozambique. Wild Tomorrow Fund is working with scientists to glean information from both illegal ivory art and elephant dung to provide clues that could help save the lives of pachyderms that are being slaughtered for their tusks in Africa. 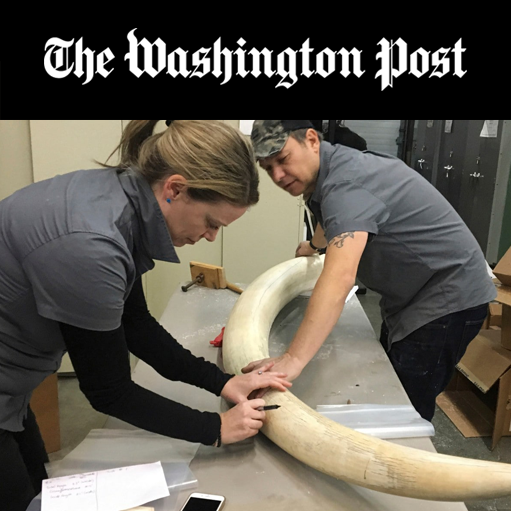 Journalist, Adrienne Kenyon writes about the seized ivory sampling Wild Tomorrow Fund performed with Dr. Samuel Wasser and Assistant Professor Kevin Uno. Wendy Hapgood, Chief Operating Officer & co-founder of Wildlife Tomorrow Fund, is a featured contributor for the Fall 2017 edition. Along with photography by renowned wildlife photographer, Shannon Wild, Wendy's story describes Wild Tomorrow Fund's habitat conservation work. Clinton Wright, Senior Ecologist and co-founder of Wildlife Tomorrow Fund talks about how support from Natracare made a difference to both his and animals' lives at Tembe Elephant Park. An interview with Wild Tomorrow Fund Executive Director, John Steward. Read the story of how John's life was changed after going on a volunteer vacation 5 years ago. Wild Tomorrow Fund receives $100,000 from the Manhattan District Attorney. Wild Tomorrow Fund announced today that they are the recipients of a $100,000 donation from the Manhattan District Attorney as a result of the largest ivory bust in New York State’s history. Wild Tomorrow Fund announced today that it has successfully secured a 1,235 acre (500 hectare) plot of riverfront wilderness in the KwaZulu-Natal province of South Africa, creating a new protected area called the Ukuwela Conservancy. Chief Operating Officer, Wendy Hapgood is featured in this story involving the biggest ivory bust in New York history. Ecologist, Axel Hunnicutt talks about the real threats facing wild lions. We were delighted to host the Esprit Magazine photo crew for their recent Louis Vuitton fashion shoot. Ecologist, Axel Hunnicutt writes about dehorning black rhinos with money awarded to us by New York State. WTF ambassadors, Anton and Emma Roberts chat with the Zululand Observer about their lives in the bush. Ecologist, Clinton Wright explains how the current rhino extinction threat is not the first time these animals have been on the brink. 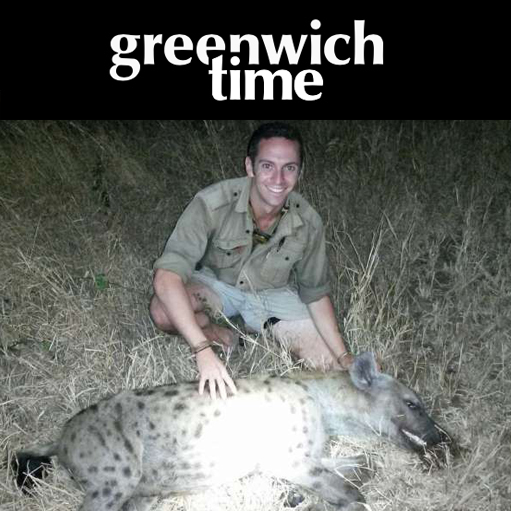 Ecologist and Greenwich local, Axel Hunnicutt talks about his experiences in conservation. Executive Director, John Steward chats with the magazine about what drove him start Wild Tomorrow Fund.